We firmly believe that college radio is a medium that plays music that you won’t hear anywhere else – certainly not commercial radio. College radio is still an important place that gives musicians their first break. College radio is important to many communities throughout the USA and this record labels hopes to shine a spotlight on the many talented artists out there that deserve greater exposure and larger audiences. College Radio Day Records was created in 2012 as an exciting and unprecedented way to raise funds for college radio stations. Proceeds from the sale of the annual CRD albums will go directly to a NEW non-profit fund for college and high school radio stations called the College Radio Fund (launching on College Radio Day, October 1, 2013.). The label is almost entirely run by the students themselves – who (through the Sound Board) vote and select the music to be on the album as well as the artwork and other design aspects. This is an album by college radio, for college radio and also the world! The historic second album DELIVERS! 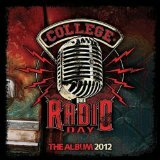 – The College Radio Day Album (Vol. 2) features UNRELEASED music from WILCO, MY MORNING JACKET, SAN CISCO, PASSENGER, JUKEBOX THE GHOST & MORE! Strictly limited edition double-CD, only 1,500 copies pressed! (Passenger’s ‘Let Her Go (Acoustic)’ is only on the CD Version). “A phenomenal effort” – Regional Musician magazine; a Top 10 Best Selling Adult Alternative album on Amazon; reached #2 in Hottest New Adult Alternative Releases on Amazon; featured for 8 weeks as “New & Noteworthy” on iTunes; picked as “New & Notable” by CDBaby! Please note this is the limited edition double-CD version (Now also available digitally: iTunes, Amazon, CDBaby). $10 (inc. free shipping anywhere in the USA). Most of the tracks on our inaugural album are unreleased and therefore very special. 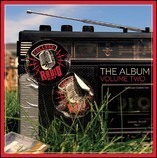 Disc 1 features the best music performances in college radio stations across the USA (congratulations to those stations who submitted and were selected) and Disc 2 features many unreleased tracks from known artists who are publicly standing with college radio. The album features unreleased songs from The Civil Wars, We Are Scientists, The Front Bottoms, Blues Traveler, Umphrey’s McGee, Delta Spirit and many more! Please note this is the limited edition double-CD version (Digital edition available from: iTunes, Amazon, Amoeba, CDBaby). $10 (inc. free shipping anywhere in the USA). 11/13/13 – EXAMINER.COM – STORY ON WILCO PROMOTES ALBUM! 11/12/13 – THE LOS ANGELES LOYOLAN – STORY ON THE ALBUM! 10/01/13 – COVER STORY OF REGIONAL MUSICIAN MAGAZINE! 9/25/13 – BILLBOARD MAGAZINE STORY WITH MENTION OF THE ALBUM! Billboard ran a nice story about College Radio Day on their website and gave a nice mention of our forthcoming College Radio Day Album (Vol. 2) album!